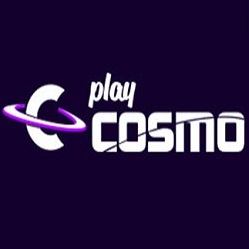 Have a great time as PlayCosmo casino with their amazing welcome offer. You get to enjoy a 200% up to £200 Poker bonus and 50 extra spins on Starburst. Create an account and make your first deposit. Your payment must be of minimum £10 to get your hands on the match bonus and minimum £20 to also get the Starburst spins. Don’t forget to use the WELCOME200 code for the welcome bonus and WELCOMESPINS for the extra rounds. The bonus code for the spins can also be used on the second deposit. You have to wager the extra money and the deposit 40 times and then you can make withdrawals from this offer. The spins have no wagering requirement so you can keep all the winnings from them. The maximum amount you can win from the welcome bonus is £1000 so get your hands on this offer and have fun playing great games!